Mrs. Eileen Allison Keene, age 72 of Temple, Georgia, formerly of Griffin passed away on Thursday, February 7, 2019. Eileen was born on December 28, 1946 in Griffin to the late James Everett Allison and Doris Knowles Allison. From the very beginning it was clear that she was blessed with a unique talent for music and by age 12 she was playing the piano for Hanleiter Methodist Church before she could even reach the pedals well. Her love of God, music and service to others would become the center of her amazing and accomplished life. She attended Griffin High School, Class of 1965. During all four years she fulfilled the role of program-assembly musician. She was a member of the Eagles Marching Band as a majorette, ascending to Drum Major her senior year. She was elected by her classmates Senior Superlative Most Talented Girl. She won many talent contests over the years and would further advance her skills by attending The University of Cincinnati – College Conservatory of Music from 1965-1969. 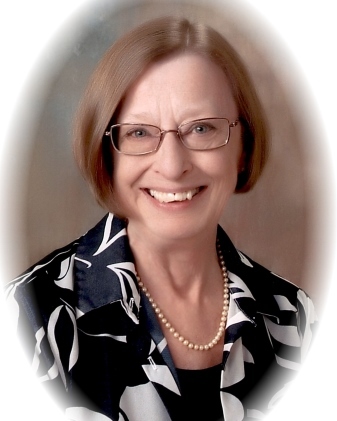 Upon returning home she continued her love of music through teaching and ministry, playing piano for Kincaid Methodist Church where she would later wed her husband of 43 years, Donald F. Keene, Sr. Her service minded heart led her to join the Department of Family and Children Services where she served faithfully for 38 years. She was a life member of the Ladies Auxiliary to the Veterans of Foreign Wars. She became a member of the Griffin Moose Lodge and joined the Women of the Moose Chapter 1288 in 1969. She was very active in her Chapter serving in many capacities and fulfilling many appointments made by Moose International Headquarters. Including the Academy of Friendship Degree 1972, Star Recorder Degree 1994, Co-Worker of the Year for Georgia and Top 5 International Co-Worker of the Year 1994, Past Regent 1997, College of Regents Degree 1998, Deputy Grand Regent of Georgia 2001-2002, College of Regents Board Member 2003-2005, 25 Club 2004, Member of the 50 Division, Deputy Regional Manager 2005-2009, finally reaching College of Regents Board President 2007-2008. While proud of her time with the Moose, she was most grateful to have shared many of those experiences with her Mother and Father whom were equally talented and accomplished Moose icons she cherished dearly. In 1977, she became a member of First Christian Church where she served for over forty years as musician, pianist, organist, choir director, deacon, elder and chair of the worship ministry. Recently, she received the honor of Music Director Emeritus. The friendships developed there were dearest to her heart and profoundly fed her soul. Apart from her family, she had no greater love than for those with whom she served at FCC. Although her illness had progressed to the point where she could no longer attend and play for church, she took solace in knowing those lifelong connections would forever be a part of her. She lived her final years at home with her daughter and son-in-law, making many joyful memories with her grandchildren. Of all her remarkable endeavors, she was most devoted to her family and so very proud of everyone one of them. She was the absolute best daughter, wife, mother, grandmother, servant, and friend. She wanted so very much to remain at home in her final days and was blessed to have been able to do so. Like all her years before, she remained steadfast and strong until the very end. So, with a soft kiss on the forehead from her daughter and gentle whisper, “It’s okay, Momma”, she gently exhaled and gladly joined the angel’s choir in Heaven. May her memory and her joyous music play on in the hearts of all who knew and loved her. She is preceded in death by her husband, Donald F. Keene, Sr.
Mrs. Keene is survived by her son, Donald F. Keene, Jr. and wife Laurie; daughter, Holle' Prigmore and husband Jason; grandchildren, James Denver Brooks, Eli Shelton Prigmore, Jonathon T. Keene and wife Katlyn, Nicholas Keene and wife Caitlin; great-grandchild, Kannon Keene; sister-in-law, Betty Jean Candler; niece, Beth Candler, nephew, Chip Candler; great niece, Katie Candler; great nephew, Sam Fowler; several aunts, uncles and cousins. The family wishes to extend a special thank you to Embrace Hospice and Heaven Sent Helpers of Villa Rica, GA for their unwavering love and care during her final months. A visitation will be Sunday, February 10, 2019 from 3:00 pm until 5:00 pm at Conner-Westbury Funeral Home. A funeral service will be Monday, February 11, 2019 at 11:00 am at First Christian Church of Griffin. Interment will follow in Westwood Gardens.